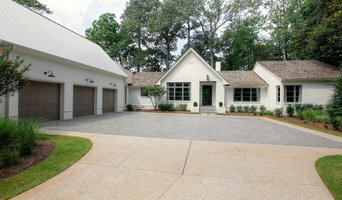 Kemp Hall Studio specializes in residential architecture and interiors with a focus on clean design and classic style. We create spaces that inspire our clients' lives. We have completed work across the US and successfully lead our clients through the entire design and construction process. Our approach is holistic, encompassing all aspects of the home. Give us a call to chat about your project. We love to talk design! We don't just Design Houses, We Create Homes. Residential Productions started in 2001 as a company that serves the builder or custom client from the very small (one lot at a time) to large production companies (several subdivisions at a time). Based in West Georgia we cater to the regional home building industry throughout the United States and select custom clients who's need for a cost effect custom design is fulfilled. Whether you need design sketches, details or full production drawings we have the staff and expertise to fulfill your needs. Our customers appreciate the value associated with Residential Productions and our ability to help create the cost effective and creative solutions to their situations At Residential Productions, efficient residential design is our primary focus with a true commitment to the concept and practice of value engineering and build-ability. Customers don't want a design that costs them a million dollars; they just want one that looks like it. If you are not familiar with our company and your first contact with us is online: We would be pleased to hear from you! Please let us know what your needs and questions are, we will be more than happy to help. You can reach us at info@residentialproductions.com We are looking forward to hearing from you. Tom Rogers, Residential Productions founder, is a Certified Professional Building Designer from the National Council of Building Designer Certification and a member of American Institute of Building Designers (AIBD). Tom holds a degree in Architecture from University of Illinois and an MBA from Kennesaw State University with a concentration in Operations management. Let Residential Productions create a menu of services to tailor to your needs; whether it be a design concept for your in-house staff to develop or a full portfolio of plans and marketing services. Serving Atlanta and the Southeast- BEST OF HOUZZ IN DESIGN 2013-2017. 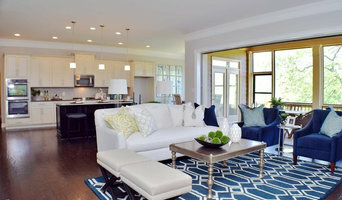 We are residential and commercial architects and interior designers. We specialize in designing distinctive custom homes that connect interiors and exteriors and blend modern and traditional elements. Most of our work is in Mountain, Beach and Lake settings where we can take advantage of spectacular views and promote casual living. Danny maintains a second home in Santa Rosa Beach, Florida and has been designing homes in many of the new urbanist towns along scenic 30A like Watersound and Watercolor. Danny Martin holds a bachelor's and master's degree from Georgia Institute of Technology. He has over 35 years of experience designing single and multifamily homes. He is an AIA member and licensed in Georgia and Florida. Carolyn Reichert is Danny's daughter and handles Interior Design for the firm. She has a degree in Interior Design from the University of Georgia. She is a member of ASID. Our practice has always been small and efficient. We work one on one with our clients every step of the way. We continually seek unique and interesting solutions to our client's dreams. T.S. Adams Studio is a full service architecture firm specializing in the design, planning and completion of traditional high-end residences. We have the ability and experience to guide our clients through every step of the creation process. Beyond architectural experience, we are also steeped in the various disciplines of design and construction, putting both our process and product at the pinnacle of the industry. Tim Adams has more than 15 years of experience in architecture and is a member of the American Institute of Architects, as well as the Historical Preservation Society. He is licensed in Georgia, South Carolina, Florida, New Jersey and the U.S. Virgin Islands. Robert Cain, FAIA has received over 70 awards for excellence in architectural design. Cain's distinctive approach to design has been broadly recognized, his projects receiving numerous local, state, national and international attention and publication in many books and magazines as well as online media. His significant body of work originates from an intense interest in exploring and synthesizing the seams between his commitment to sustainability, his love of vernacular architecture and the clarity of modern design. Transcending style, the purity, elegance and simple beauty in his solutions hold universal, direct and immediate meaning. For each project, Robert Cain seeks and evolves essence into pragmatic architecture. He creates environmentally appropriate solutions through meticulous analysis of site, context, microclimate, responsible use of materials, and impassioned attention to detail. Careful manipulation of natural light and views shape Cain's formal concepts, enrich human enjoyment of his constructed spaces and blur boundaries between inside and outside. His extensive hands-on experience in construction and close collaboration with contractors, manufacturers, artisans and artists assure beautifully designed, fully integrated concepts borne in practicality and reality.